“Inner core strengthening” is a popular term used in all sorts of wellness and fitness settings, including physical therapy clinics. However, if you Google, “inner core muscles,” you will find many different descriptions as to which muscles actually make up the inner core. The deepest muscle in the front part of your abdomen is known as the transversus abdominis, a muscle that wraps around your abdomen horizontally. 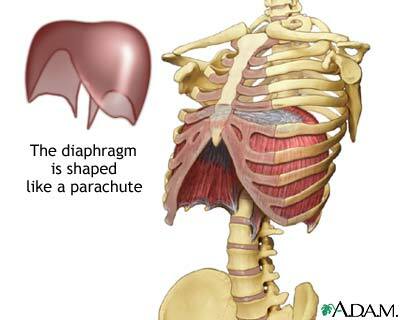 Your physical therapist may refer to it as “the TA” or your “deep abdominals.” Most of our clients are not as familiar with this deep muscle as they are with the external obliques, internal obliques, and rectus abdominis, which lie more superficial to the transversus abdominis. Our deepest back muscles, the deep multifidi, connect from one vertebra to another in the spine and span one to two intervertebral segmental segments all the way down to the sacrum and pelvis. Research shows that these muscles play a large roll in controlling shear and torsion stresses in the spine and sacroiliac joints (“SI joint”). This is important for spinal and SI joint stability for those clients who demonstrate too much mobility in these regions. Many different muscles comprise our pelvic floor, which span the bottom of the pelvis, consist of two layers, and help support the pelvic organs. These muscles not only are important for bowel and bladder control, but they also work with the other inner core muscles when we move to provide stability in the low back, pelvis, and hip. It is common to find dysfunction in these muscles with clients who have pain in these areas as well as those with bowel or bladder problems. Research regarding the deep inner core muscles shows that they function differently when compared to the more commonly known superficial front and back muscles of the trunk, such as the “obliques” and rectus abdominis muscles. In clients with low back, pelvic girdle, and / or hip pain, they may be either inhibited and difficult to activate and use, or they may be too tight, or hypertonic. Both are problematic and are addressed in treatment. In subsequent blog posts, I will write about how to activate those muscles that are inhibited and offer guidance as to when it is appropriate to train these muscles as compared to when you should strengthen them. Until then, please address any questions regarding your inner core muscles or training / strengthening program with your physical therapist.